“Hi Phoebe. We would be happy to have you join the team in Namibia for November and December”. That was it. I was booking flights and on my way down to London to get my visa sorted. I arrived in Walvis Bay in early November. 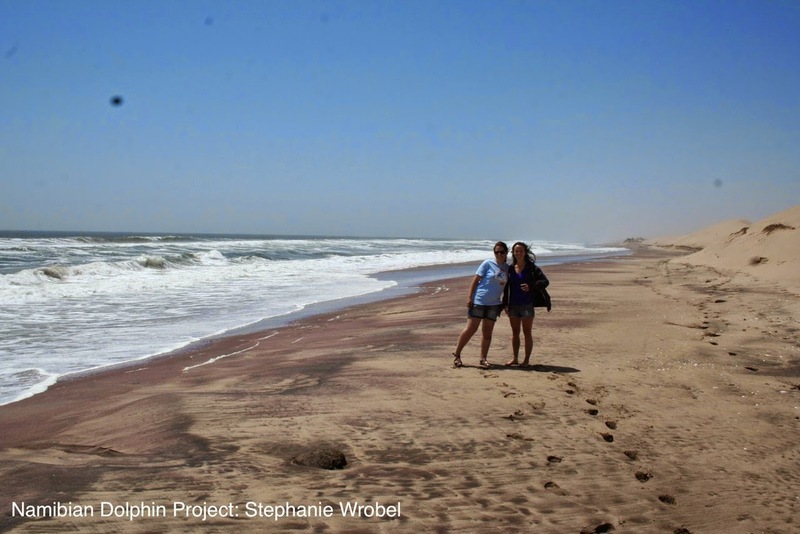 Now, six weeks later, I am incredibly sad to be coming to the end of my volunteer time with the Namibian Dolphin Project. But instead of being sad, I’m going to try and give you an insight into my experience and why I’m already planning my return to this part of the world. To put it briefly I have fallen head over heels in love with Namibia, the people, the places, the food and of course the dolphins! Before coming to Namibia I only had a small amount of marine research experience so the past 6 weeks have been a huge yet thoroughly enjoyable learning curve. In the Namibian Dolphin Project office at the Walvis Bay waterfront both Steph and myself are involved with the logistics and day-to-day management of the project, quite a unique experience and one that I believe to be incredibly valuable. In addition to this, learning dorsal fin photo ID skills, editing videos from previous field seasons and explaining the function of baleen to tourists has enriched my time significantly. Working with the team in the office is fun, but for me the best part is getting out on the tour boats. 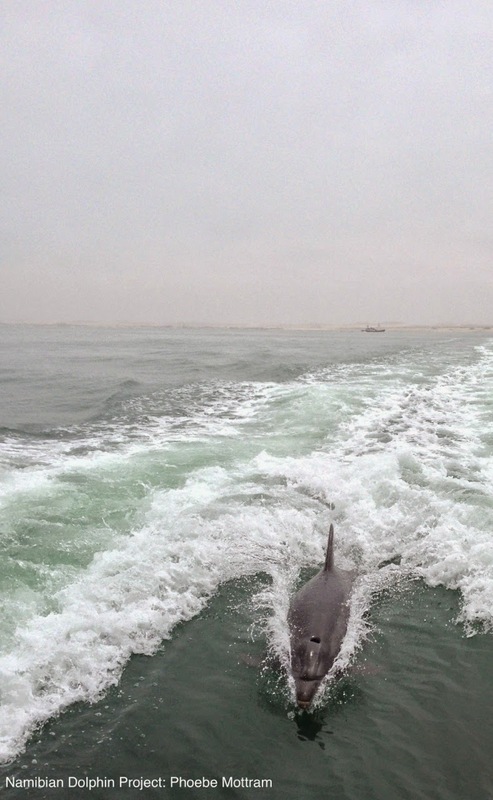 There are a number of marine tour companies in Walvis Bay, all of whom take boats out on a daily basis to offer tourists the privilege of seeing Heaviside’s and Bottlenose dolphins in the wild, as well as Cape Fur Seals, maybe some whales and even the odd penguin. As volunteers we get to do this a few times a week! Every time we collect data on the location, number and activity of the dolphins we see and I can assure you that the novelty never wears off. Seeing bottlenose dolphins bow ride or Heaviside’s dolphins swimming underneath the boats for the twentieth time is just as exciting as the first. But my time in Namibia has been made equally as memorable through the experiences had outside the office and dolphin boats. By meeting so many Namibians and South Africans, all of whom are immensely friendly, I have been able to stand on top of dunes that plummet straight into the sea at Sandwich Harbour, drive 4x4s along the beach to Pelican Point and to sit only metres from a lion roaring its head off at Erindi Game Reserve. 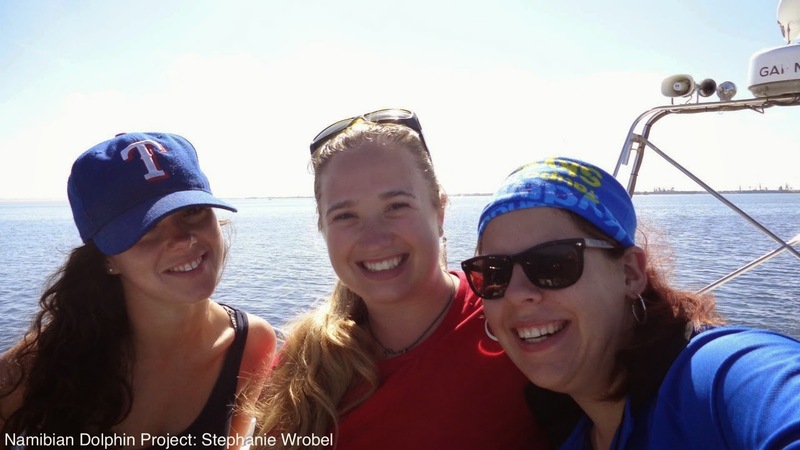 Now, future interns, my advice to you – dive head first into the dolphin research, you will learn a huge amount but also take all opportunities you get offered, you will head home with some amazing memories! Tonight we, and members of the Fisheries Observer Agency, are attending an end of year soirée hosted by the Albatross Task Force. Working with the Namibian Dolphin Project has been immensely rewarding for such a short period of time, it has exposed me to the inner workings of an international research project and has helped to direct my future plans, both academically and career based. Marine life inspires me more than anything! Especially dolphins and whales are on the top of my list. I am happy to see that we are doing our bit to save these species.